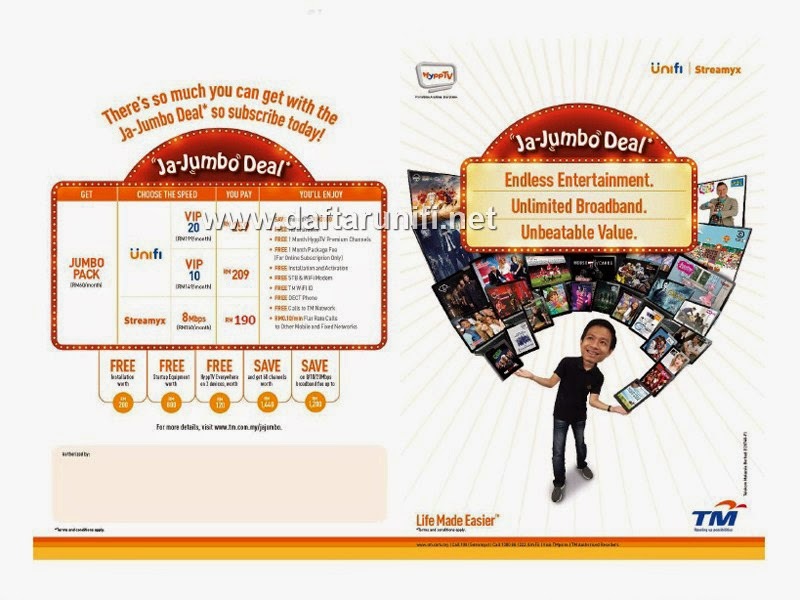 TM has replaced the existing Unifi & Streamyx promo (Stream Champion Deal Campaign) with a new campaign called 'Ja-Jumbo Deal' effective from 15th Jan 2015 until 15th April 2015. 1) The existing Mega Pack and Platinum Pack will be removed (Sport Pack will remain unchange). 2) New Jumbo Pack added with RM60 per month. Sport Pack with RM50 per month.